encore Deals! | Deal of the Week: Half Off at Cruisers Car Wash! Deal of the Week: Half Off at Cruisers Car Wash! Expires 3/31/2016. Not valid with any other offer. No cash back. One per visit. May not be used for gratuity. 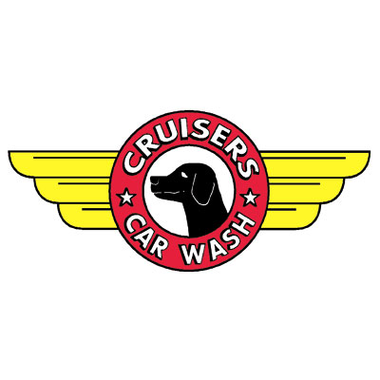 Welcome to Cruisers Car Wash and Detail Centers! We have two locations in Wilmington, North Carolina and one self serve wash location in Southport, North Carolina. Our Wilmington locations are at 325 S. College Road. in front of “Best Buy” and at 3835 Oleander Drive, next to Baskin Robbins by Independence Mall. Our Southport location is on the corner of Long Beach Rd. and Fish Factory Rd. This is a popular spot for boaters to wash the salt off their boats and trailers because of the easy drive-thru capabilities. Cruisers has been providing the highest quality of service to its customers for 14 years. We have been voted “best wash” in the city by the readers of both the Star News and Encore Magazine a dozen times. We take great pride in the quality of our work. Our team is trained regularly on the virtues of providing great service to each customer. We enjoy getting to know our customers and we make sure they leave with a smile. Cruisers offers a full range of vehicle cleaning and detailing services. You’ll find a complete listing and description on our website. Take a few minutes to go through our site and email us with any vehicle cleaning questions that you may have. You can also sign up Sign up to receive weekly email specials. Our team looks forward to serving you!